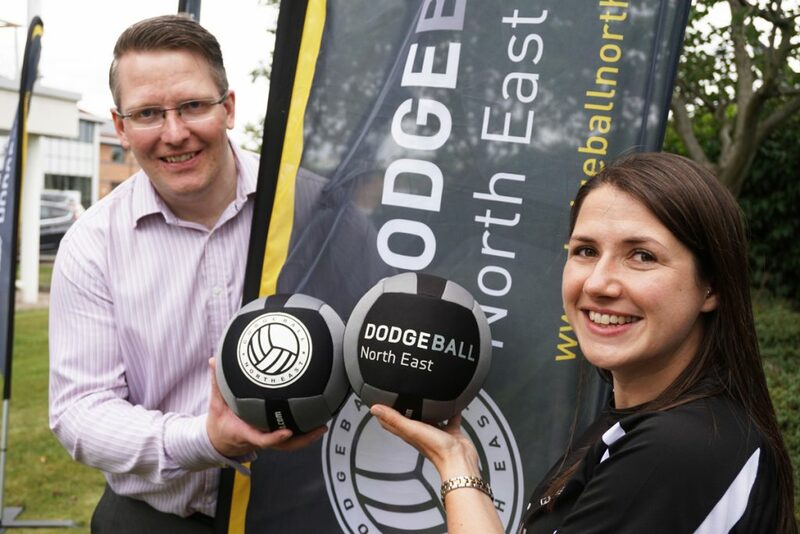 Local business ‘Dodgeball North East’ recently turned to Pulse Creative Marketing, based at the North East BIC in Sunderland, for help to develop their brand and marketing material. Dodgeball North East specialise in running dodgeball sessions that focus on having fun and getting fit at the same time. Angela Karamath, the founder of Dodgeball North East, was first exposed to the sport over ten years ago in the USA, and since introducing it to children of primary school age felt it was about time adults had the opportunity to join in too! With everything from social sessions to competitive leagues and team building days, Dodgeball North East aims to get as many people as possible playing the sport. Already the business has been successful in delivering summer festivals with Active Sunderland and working with schools across the region. To help spread the word Angela realised she needed marketing support and visited Pulse Creative Marketing where she obtained advice from Paul Finch. Pulse went on to develop a new brand for the business together with a range of promotional material including, postcards, business cards and a starter website to promote the range of services offered by Dodgeball North East. Pulse offer a ‘Marketing ON DEMAND’ service acting as your very own marketing team, providing flexible support when you need it, all year around. This was an ideal solution for Angela and has allowed her to develop an on-going relationship, obtaining marketing support when required. Angela recently returned to Pulse for help to design banner stands and promotional flags to use during her dodgeball sessions.